The Broomfield City Council voted 6-3 on Feb. 28 to indefinitely postpone consideration of a proposed oil and natural gas moratorium. Before the vote, “keep it in the ground” groups 350.org and Food & Water Watch pressured the council to support the moratorium, but their campaign failed. “Relying on a ban is not a good solution,” Broomfield Councilman Mike Shelton said. 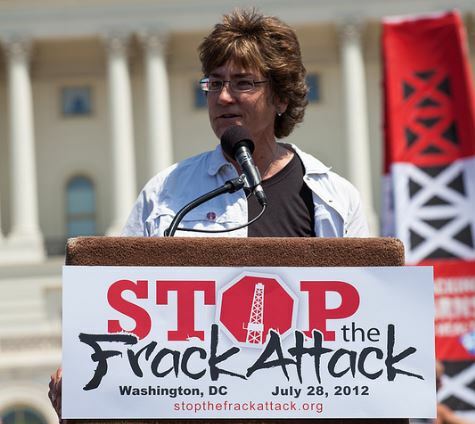 The two national groups also pushed a series of anti-oil and gas initiatives for the statewide ballot in Colorado last year. 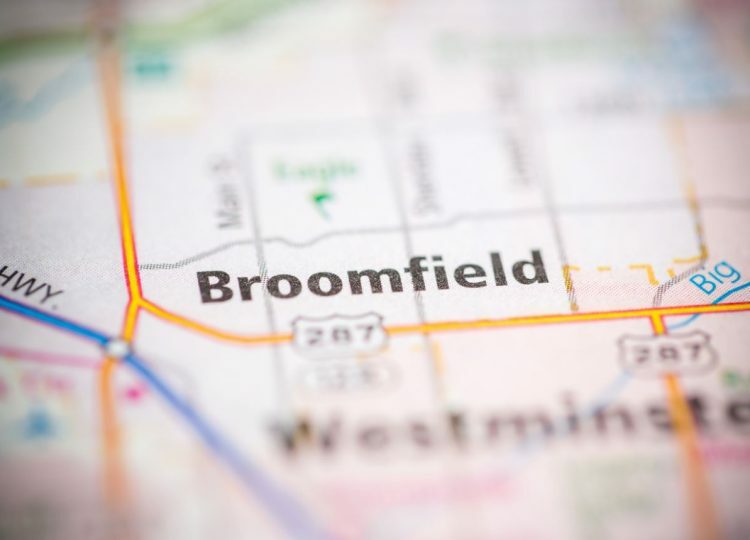 They failed to gather enough signatures to make the ballot, however, and this week in Broomfield they struggled to find support from the city’s elected officials and residents. 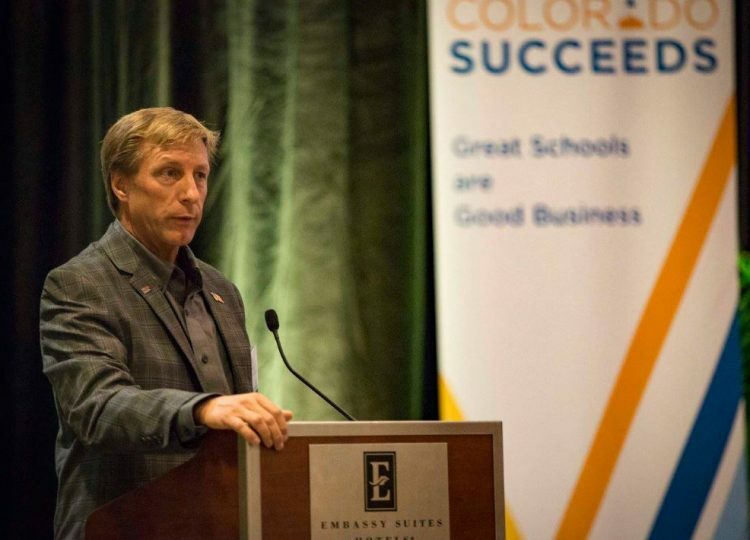 One of Colorado’s top business leaders is calling on the U.S. Senate to swiftly repeal a last-minute regulation from the Obama administration targeting oil and natural gas development on federal lands. Jeff Wasden, president of the Colorado Business Roundtable, says using the Congressional Review Act to overturn the so-called “venting and flaring” rule is a pro-growth move that will help the economy, encourage energy development, create jobs and boost tax revenues in the West. 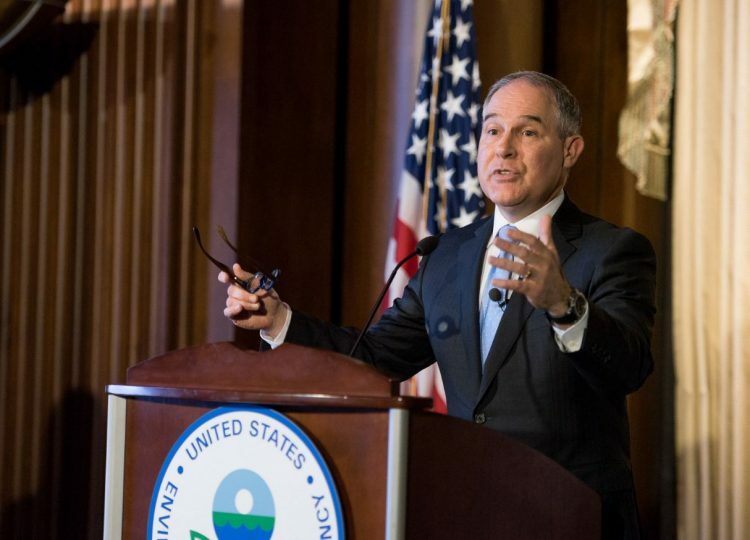 A bipartisan group of Western governors met with U.S. Environmental Protection Agency Administrator Scott Pruitt in a push to improve relations between the federal government and the states on matters of energy and environmental policy. “The Western Governors Association wants a better state and federal partnership,” Montana Gov. Steve Bullock (D), chairman of the WGA, said after the meeting. 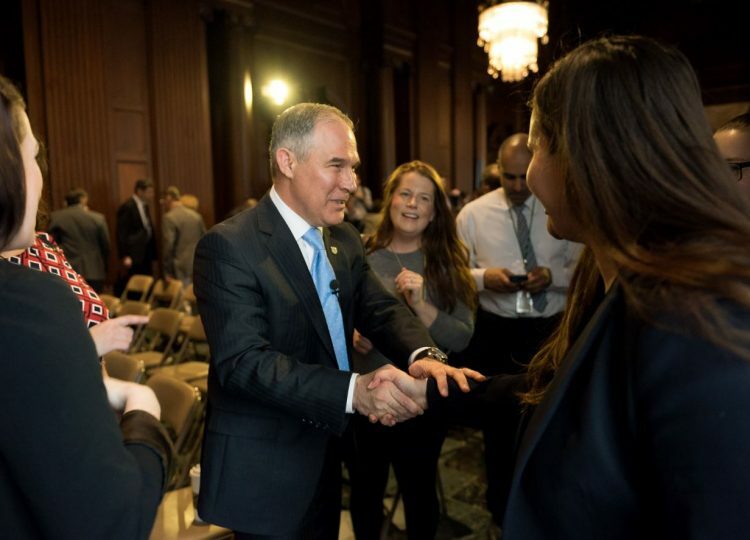 Winning back the trust of states after eight years of the Obama administration is a major priority for Pruitt, who formerly served as Oklahoma’s attorney general. A New York Times story that contradicted claims of wrongdoing against U.S. Environmental Protection Agency Administrator Scott Pruitt was quietly edited after publication to remove lines that challenged the talking points of environmental activist groups. Two key sentences from the story, which said the e-mails are unlikely to cause problems for Pruitt, were deleted without explanation. But not before other news outlets had included those lines in their own coverage. 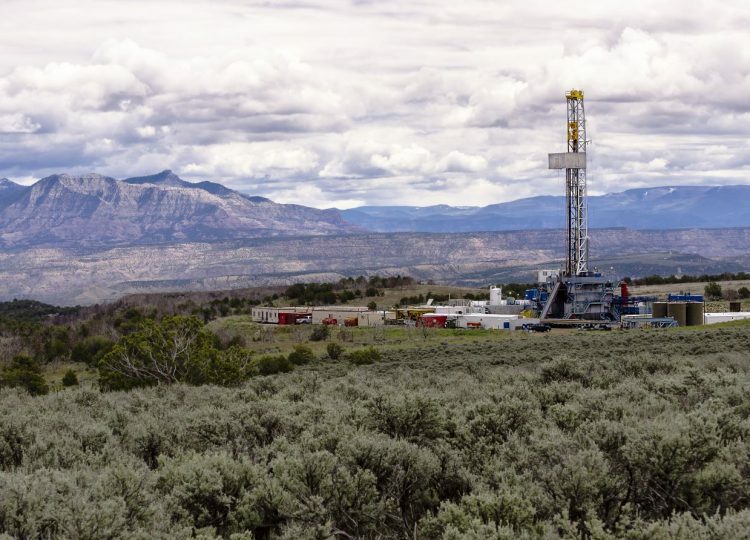 The Colorado Petroleum Council today urged federal lawmakers to repeal a last-minute Obama administration rule targeting oil and natural gas development on federal lands. The rule, aimed at restricting methane emissions, has angered tribal, business and local officials from across the state. The Republican majority in the Colorado State Senate has also endorsed the repeal effort. 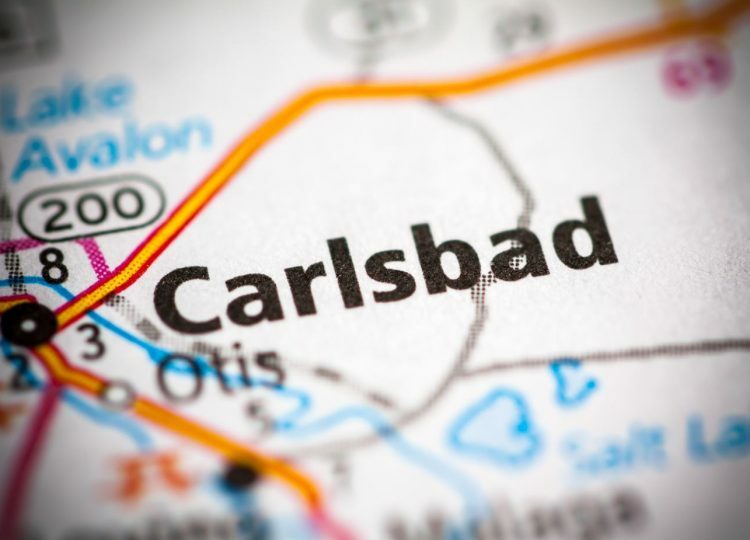 The stakes are high for Eddy County and its biggest city, Carlsbad. The county is located on the Western side of the Permian Basin, which stretches across Southeast New Mexico and West Texas. After several years of falling oil prices, the region’s energy sector is starting to rebound, with companies seeking hundreds of new workers on the New Mexico side of the Permian Basin, according to recent press reports.